National anthems have become an integral part of international sporting spectacles. Even before the players have taken their positions on the field teams are lined up and, with the onlookers standing to attention, the country’s anthem is played over the PA system. These tunes are invariably received with much enthusiasm; this sense of identity unites individuals, evoking an unspoken kinship that in turn invites a collective and hearty chorus of voices, if not the odd teary eye. In Anthem Quality – National songs: A theoretical survey, author Christopher Kelen investigates the anthem lyrics and how they reflect themes of authority, religion, love and devotion. In the extract below Kelen assesses ‘the most bloodthirsty of the best known anthems’; France’s ‘The Marseillese’. 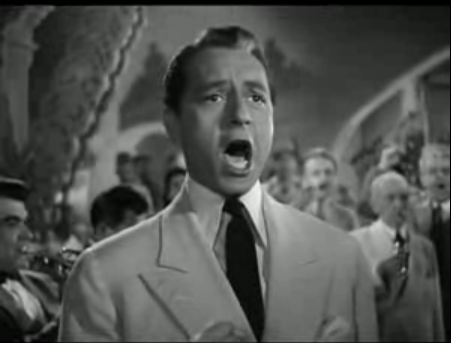 The anthem makes an impressionable appearance in the film Casablanca (1942) and the extract highlights how anthems can unite strangers against a shared enemy, in this case, Nazi Germany. The watch stands true, the watch on the Rhine. This is a song appropriate to the Nazi role purported in the film’s story: the Germans are in Casablanca, not as an occupying force, but to observe. And the Germans are just getting into the sing-along mood when that maverick freedom fighter, Victor Laszlo (the Czech [?] with the Hungarian name), has the band – with Rick’s nod – strike up ‘The Marseillaise’ for the benefit of the local patriots (French imperialists if we give things a moment’s thought). The day of glory has come. Hear, in the fields, the roar of her fierce soldiers. To slaughter our sons and our consorts. May the tyrant’s foul blood water our furrows! To briefly historicise the songs in the film, ‘The Marseillaise’ was originally titled ‘Chant de guerre pour l’Armée du Rhin’ (‘War Song for the Rhine Army’), so it would be fair to say that German lands were, from the outset, in the sights of this song. ‘The Marseillaise’ was written by Claude Joseph Rouget de Lisle in 1792 and became the national anthem of the First Republic in 1795. It was volunteer soldiers from Marseille who first sang the song, hence the name. As a republican song, it was discarded by Napoleon and by Napoleon III. The song is revolutionary, certainly, and has been a model for and source of allusions for many other anthems, probably the most notable of which is the communist anthem, ‘The Internationale’ (to be discussed in Chapter 6). ‘The Marseillaise’ is also the paradigm of the warlike march anthem: a little like the Maori haka (which we may perhaps equate with the Spartan’s ‘Ode of Tyrtaeus’, sung before battle), it was surely designed to cower an enemy. In its original context, it was written to repel foreign forces, led by the Duke of Brunswick, which threatened the revolution and the young republic. It is easy for the average wartime and post-war Hollywood movie-savvy citizen of the world to think simply of Germans as aggressors and French as fighters for freedom, but ‘The Marseillaise’ covers quite a span of history, and one cannot help but feel that the dis-unified Germans of the Napoleonic Wars would not have thought kindly of this tune. ‘The Watch on the Rhine’ (‘Die Wacht am Rhein’) is a German patriotic song originating from the period of the Rhine Crisis of 1840. Post-Napoleonic, but well pre-unification, it is a call to unity in response to French aggression, in particular, the policy of then French Prime Minister, Adolphe Tiers, to annexe the left (still German-speaking) bank of the Rhine and so assert the river as a ‘natural’ border between France and Germany. Tiers was not the first French leader to think this way; the idea goes back to Louis XIV and of course Napoleon succeeded in conquering quite a bit more besides. ‘The Watch on the Rhine’ underwent various revisions and additions, especially through the twentieth century, becoming more aggressive as time and conflict went on. It never became the German National Anthem, although it enjoyed quasi-anthem status, especially from Bismarck’s time on. Both of these songs have some claim to be defensive in function (to encourage defence of the homeland), but there is no doubt that ‘The Marseillaise’ is the more bloodthirsty of the two. For cinematic purposes though, world audiences have been given the opposite impression. ‘The Watch on the Rhine’ seems like an aggressors’ song; ‘The Marseillaise’ is the underdog’s. Of course, this is the relative position of the Germans and the French both in the movie (and in Renoir’s film), and at the time of the movie’s making. So as a feel-good-about-what-we-have-to-do wartime propaganda piece, this all seems entirely justified. The songs bear the affect the viewing context provides for them; the songs become tokens of a particular affective image: the heroic fight against fascism. The most nationally affecting moment of Casablanca reminds us that Germans are bloodthirsty brutes and that the French are freedom fighters. Not that anyone, of the general world audience, is going to remember much of ‘The Watch on the Rhine’; it is this meaning of ‘The Marseillaise’ all remember. ‘The Marseillaise’ stands for liberty, or more specifically, it evokes, for the listener and for the unisonant, the arduous struggle to throw off tyranny. Casablanca did not invent this connotative reduction; nor did Renoir. The Anglo-American idea of France and France’s national anthem as bulwarks against German aggression was well established by this time. But Casablanca has had deep effects on the anthem-psyche of the world’s cinema going subjects. One might go further and say the cinema has characterised the languages involved this way (French is the language of love, German the language of war); the world is still recovering from Hitler and the world recovers only slowly from such stereotyping. Tags: film, IQ magazine, national anthems. Bookmark the permalink.